Valina Polka of Das Ist Lustig will serve as MC for the Family stage. Valina is fascinated by the multitude of talent featured at events like this. She is absolutely thrilled to be the emcee again for the Galveston Oktoberfest Family Stage. Das Ist Lustig headlines the Family Stage again this year and is a crowd favorite, especially when Valina starts her antics. 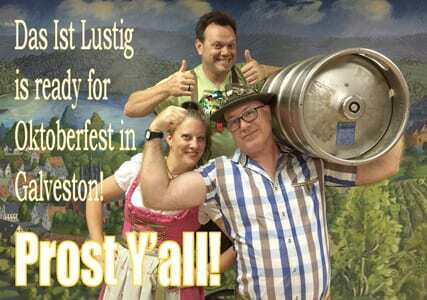 Das Ist Lustig means “that’s fun”, and the band performs for audiences of all ages, and is a fan favorite at the Island Oktoberfest. Das Ist Lustig offers variety that no other band does with their audiences. Make sure to ask them for the Bench Dance, or to go Cuckoo with you. They even have their own twist on the traditional Schnitzelbank. And with folk dances, the more the merrier, so join in! It’s okay if you don’t know how to dance – if you can walk, they’ll show you how to do the dance. Returning this year to the Family stage is the Deer Park Folk Dance Troupe. This respected group of young men and women study German at Deer Park High School and are in their 10th year of existence. Their enjoyment of the German culture, the fellowship they have found with each other, and their dedication to practice has made them successful in Regional and State German competitions. They proudly perform at the Tomball German Heritage Festival in the Spring and community events in Deer Park. The Island Oktoberfest is excited to have this great group of young people performing again on Saturday. Since 1986, they have performed at hundreds of private and public celebrations, and have appeared at some of the most popular festivals in Texas such as The Hallettsville Polka & Sausage Festival, Wurstfest, Ennis National Polka Festival, and Westfest, just to name a few, as well as performing in Iowa for the Beckster Festival. In 2016, they celebrated their 30th year by performing on Royal Caribbean’s “Liberty of the Seas” along with The Jodie Mikula Orchestra and Alex Meixner for a seven-day polka cruise in the Caribbean. 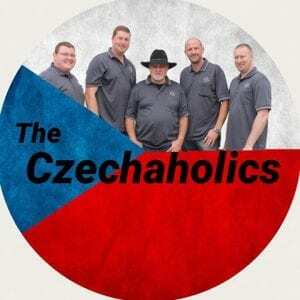 Where ever they perform, their love for the traditional music that helped build and strengthen Czech and German communities is clearly on display. 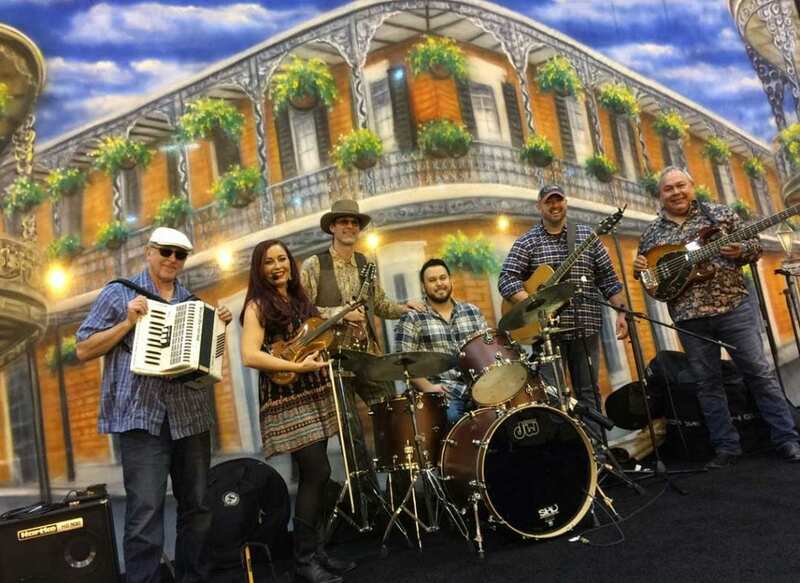 Their music can be heard on polka radio programs across the nation, and have had national TV exposure with performances on RFD-TV’s “Big Joe Polka Show” and “The Molly B. Polka Party”. 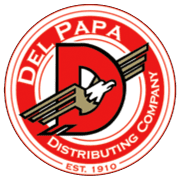 They have recognized by the Texas Polka Music Association, The Texas Polka Music Museum, and 247PolkaHeaven.com for their recordings. 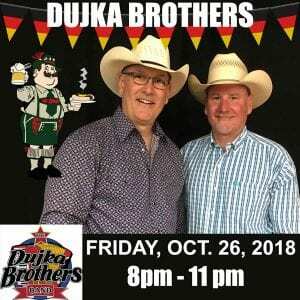 The Dujkas play all styles of music and are proficient on numerous wind and keyboard instruments as well as guitars and accordions, blending their voices to create an unmistakable sound that has helped to make them one of Texas most popular duos in polka music. They have produced 11 albums with close to 200 tracks. Fanfare! Lutheran Music Academy has grown to a current average enrollment of 85 students. The school is staffed by very talented professionals committed to music and education throughout the Galveston County area. 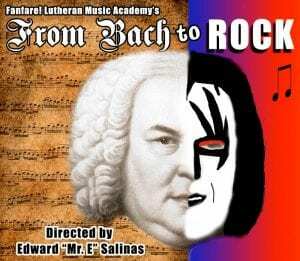 Fanfare’s From Bach To Rock band is gaining popularity in the Galveston area for various events! Contact them if you are interested! Their mission is to provide high-quality, low-cost music, art, and drama classes to Galveston-area youth, and provide a loving, God-honoring environment that nurtures children in their development. Please welcome, SATURDAY NIGHT OCTOBER 27th from 8pm-11pm on the MAIN STAGE…The Jonathan Moody Band!!! Originally from College Station, Jonathan gave up his collegiate baseball career for music and has opened for VINCE GILL, MARK CHESNUTT, ROBERT EARL KEEN, and even played for LADY GAGA’s Super Bowl halftime show rehearsal, among many more! Some of the most notable clients are HALLMARK CARDS, MICROSOFT, MONSTER JAM, DELL, BUDWEISER, LEATHERMAN TOOLS, TEXAS RANGERS, SUPER BOWL, PEPSI and the list goes on! Jonathan has graced prominent stages as the House of Blues Dallas & HOLLYWOOD and also the Grand Ole Opry in Nashville. Jonathan has also appeared in the The Wall Street Journal! He claims a vast variety of musical influences including the Lumineers, Chris Stapleton, Johnny Cash, Dave Matthews, Mumford and Sons, James Taylor, Tom Petty, Matchbox 20, Verve Pipe and Prince! Whew! The Keine Künst Folk Dance Troupe is and will be a reminder of German history to those of the United States who do not know or have forgotten about it. 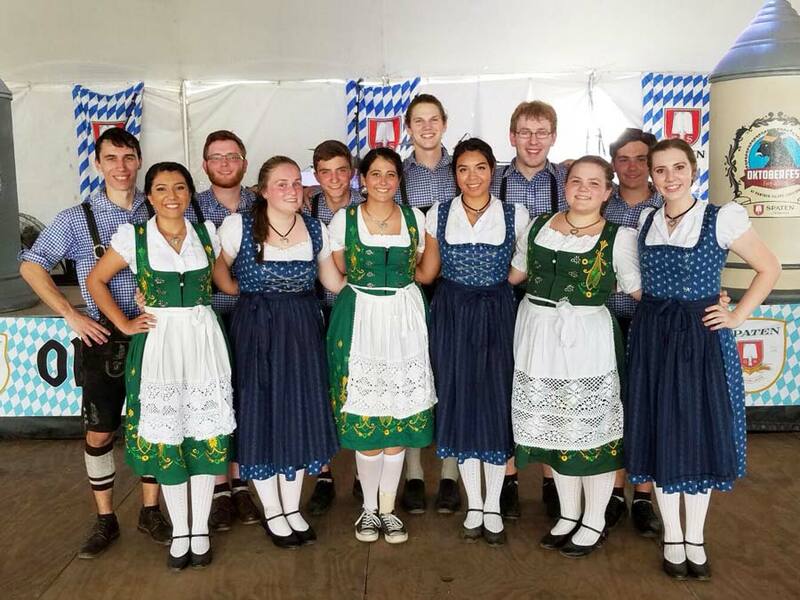 The members of Keine Künst have a passion and talent for what they do, and many of them began as early as their freshman year dancing to entertain others and enjoy themselves. The group also serves as a statement to do what you love and have passion for, and to be proud of what it is that you’re doing. Keine Künst’s goal is to spread the word and increase popularity of activities similar to this not only in Texas, but also in the U.S.. However, the troupe’s main goal is to inspire, whether it be to folk dance or create a name for something that YOU love. Featuring local professionals, “Mid Life Crisis” will play to a loyal local following and a growing new fan base. 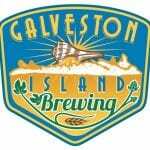 For over fifteen years now, this band of local doctors, attorneys and professionals has been entertaining on Galveston’s Strand and at Galas and Charitable events. 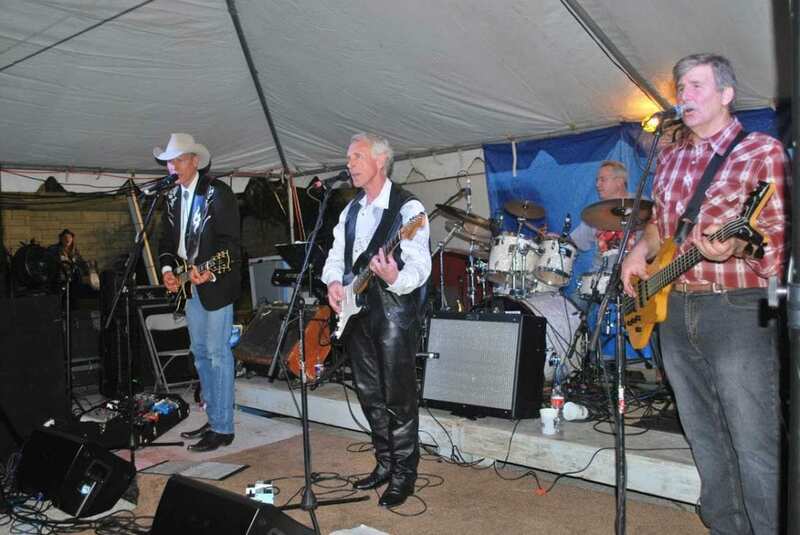 A tremendous hit and crowd favorite since 2011, the band returns this year to Oktoberfest, and they will be featured on Saturday night from 7:00 pm until 11:00 pm. Midlife Crisis specializes in music from the 50’s, 60’s and 70’s, adding new hits in current favorites. 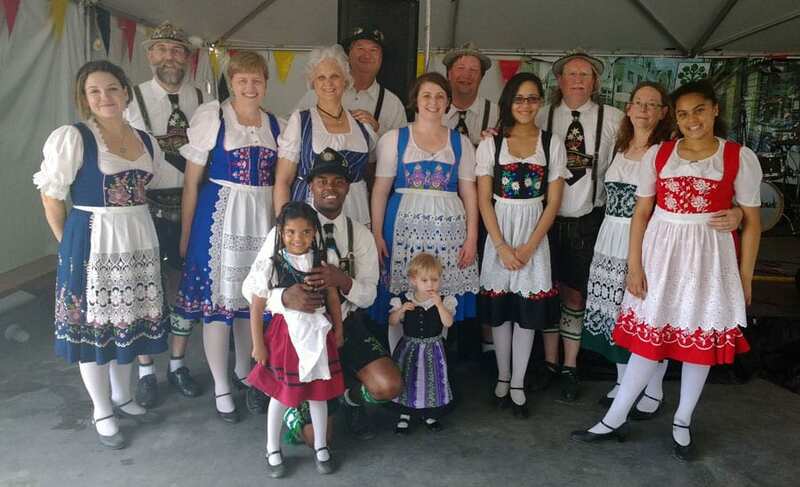 The Rathkamp German Folk Dancers (Die Rathkamp Deutsche Volkstanzgruppe) is a family-oriented group established in 1959 by Monroe and Betty Rathkamp. 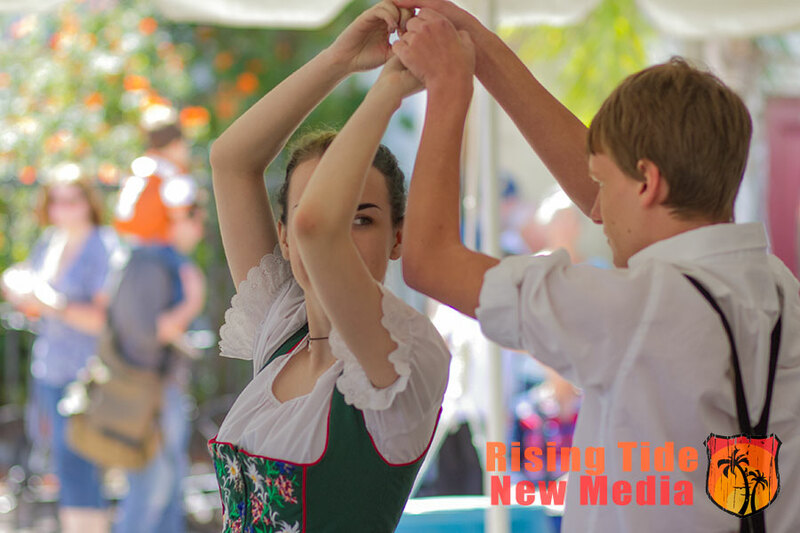 The group strives to preserve and perpetuate German and Germanic folk dances, customs, and culture, and to cultivate a public appreciation of these by dancing in authentic costume accompanied by authentic music. The repertoire includes dances from all over Germany, Austria and Switzerland: beautiful and graceful Ländlers with their many figures; Schuhplattlers (foot slapping dances) from Bavaria and Austria; guild (occupational) dances such as Mühlradl (Millwheel), which represents the grinding of grain, and Die Hammerschmiedgesell’n (blacksmith journeymen); wedding dances; and many other folk dances. 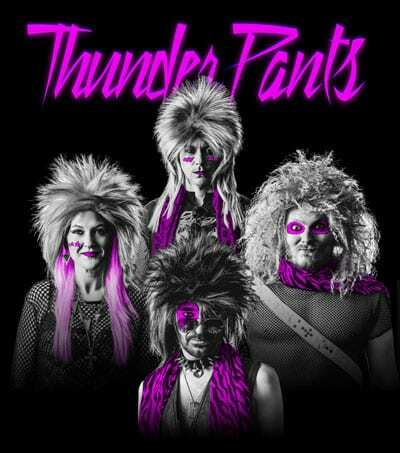 An 80’s Cover Band, ThunderPants, is a Houston tribute act since 2005 with over 500+ shows in and around Texas. Started as a “whatever” band and later transforming into a full 80’s tribute cover band that has performed at Sugarlands 4th of July Fest, Minute Maid Park, House of Blues, BakerStreet, Galveston Mardi Gras, Boiser City’s 12th Night, Margarita Festival and many more private events through the years. Their music genre is 80’s Rawk, Pop, Dance, New Wave and Hip Hop – and list their major influencers as Depeche Mode, David Bowie, Billy Idol, Blondie, Corey Hart, and Cameo. Started by MCDX (aka. SexySexy AwesomeSauce), Tbag Baggins and Sir William Stuart, they played b-sides and heavy alt-rock. SoyGeorge soon joined on lead guitar and morphed into an 80’s act when the House of Blues opened in Downtown Houston. Since then, the line-up has changed little but added a lot with SusieQ on vocals, FootLuis on Skins and Jamie Lee Roth on Bass. No instrument is more identified with German and Czech music than the Tuba. 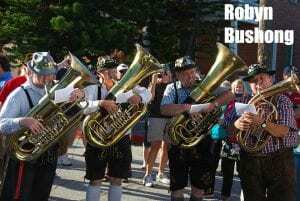 The TubaMeisters, a Tuba/Euphonium quartet, go far beyond the oompah tradition, by presenting a rich and varied entertainment. All the old standards are here, with other music you’ll enjoy. There’s also Austrian, Czech, Slovenian, Spanish, and Mexican, and even a few Country-Western and Rock tunes, as well, with vocals in five languages. This highly talented group features 3-part harmonies, #accordianmusic , #clarinet , #bassmusic , #brassmusic , #alphorn , #cowbells , and of course #yodeling !! For the first ever time here at Island Oktoberfest, we extend a hearty #willkommen to Lorelei Wisian-Brooke, Schatzi, and Gary Trumet!! Gary is a graduate of the prestigious Eastman School of Music and was the leader of the very popular German show band, The Sauerkrauts, in the German Pavilion at Epcot – Walt Disney World in Orlando, Florida. He wanted to bring German/Austrian music to a much more popular level and succeeded, performing in just about every state in the USA! 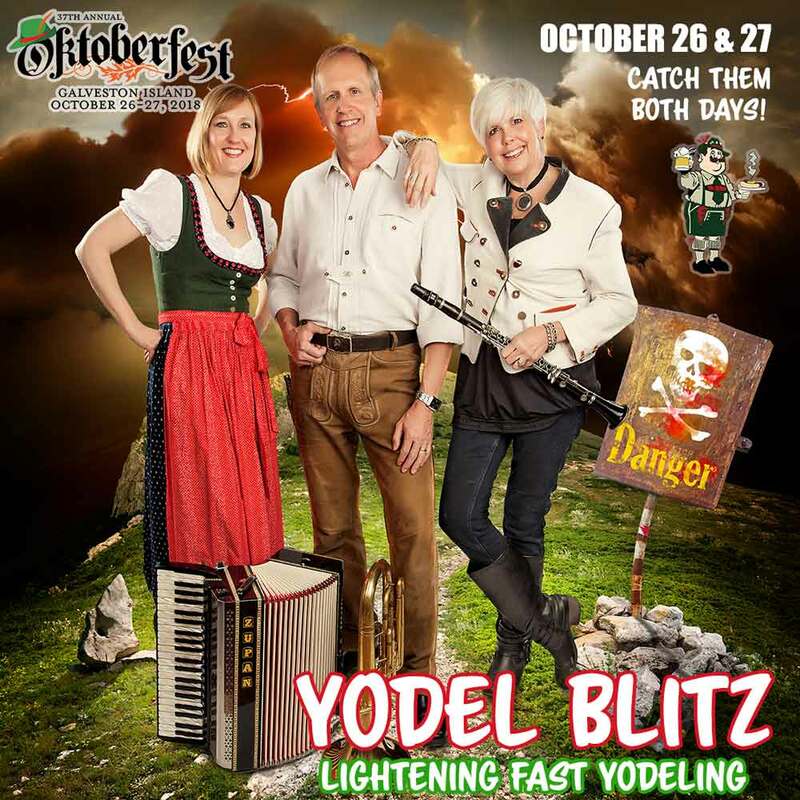 Don’t miss the Yodelblitz shows, both Friday and Saturday, Oct. 26-27!